The Youth Radio Project (YRP) supports young people aged between 12 - 18 years of age from the city’s regeneration areas to participate in the development of youth focused radio programming for broadcast on shmuFM. Every Saturday, from 10am- 1pm, young people work as a team to produce and broadcast a show that presents a young person’s perspective on a variety of issues and themes. Issues explored include health, crime, education, entertainment and other youth related topics. In addition, young people have the opportunity to present their individual weekly shows from 4pm-5pm on Monday to Friday. These shows explore the participant’s diverse taste in music and allows for the exploration of other current topics of interest. The group continue to show fantastic commitment to the project and clearly evidence their ability to work as part of a team. They show this through their contribution towards raising awareness of issues important to other young people through the medium of radio. 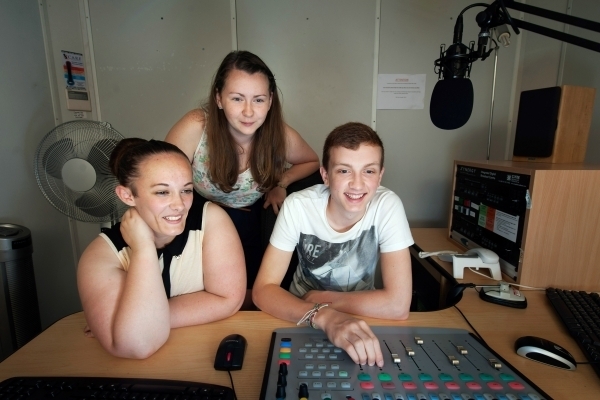 At present there are 25 young people volunteering on a weekly basis, presenting 8 hours of live radio broadcasts every week.